We commence our Conference@sea in Portugal’s stunning capital city, Lisbon. Lisbon is renowned for being one of the most charismatic and vibrant cities in Europe. Situated on the banks of the Rio Tejo, Lisbon offers a number of museums and galleries, an unpretentious atmosphere and a pleasant blend of architectural styles. This is a city that effortlessly blends traditional heritage with striking modernism and progressive thinking. We highly recommend also joining us for our Pan Europe Pacific conference in Lisbon prior to this cruise to maximise your experience in this beautiful part of the world. Onboard the Silver Whisper, we’ll set sail from Lisbon harbour to the River Thames in London. Delegates will immerse into a journey of discovery and sensory pleasures and be introduced to natural landscapes, excellent gastronomy and a unique artistic and architectural heritage. This is a region of refined tastes and cobblestone charm; where you can enjoy oldtown markets, quaint coastal villages and pebble beaches. From Lisbon to Bordeaux discover the wines, architecture and history that is infamous to these regions. Enjoy 2 days in Bordeaux savouring some of the regions finest wines and visiting world-renowned wine chateau estates. In Cherboug choose to retrace the soldier’s footsteps in Normandy from the D-Day invasions or take a full day excursion to visit Mont St Michel, truly one of the most stunning monuments in France, often called the ”Marvel of France” . In Bilboa don’t miss the iconic Guggenheim museum famous not only for it’s collections but also from an architectural perspective. From Galicia in the east and all the way along the northern coast of Spain to the French border in the west, the coastal area is full of beaches, some relatively untouched, all with golden sands you’ll have plenty of opportunities to feast on mouthwatering seafood as you dine in some of the best alfresco cafes and restaurants Portugal, Spain and France has to offer. We conclude our conference cruise with a night sailing up the Thames and under the Tower Bridge to dock and spend our final night in London before disembarking. This journey will uncover the world of food and wine in this epicurean tour of regions each more flavourful than the last. A rare opportunity for lovers of travel, history, art and architecture. Spread over a string of seven hills north of the Rio Tejo (Tagus River) estuary, Lisbon presents an intriguing variety of faces to those who negotiate its switchback streets. In the oldest neighborhoods, stepped alleys whose street pattern dates back to Moorish times are lined with pastel-color houses decked with laundry; here and there, miradouros (vantage points) aﬀord spectacular river or city views. In the grand 18th-century center, calçada à portuguesa (black-and-white mosaic cobblestone) sidewalks border wide boulevards. Lively, commercial Oporto is the second largest city in Portugal after Lisbon. Also called Porto for short, the word easily brings to mind the city’s most famous product – port wine. Oporto’s strategic location on the north bank of the Douro River has accounted for the town’s importance since ancient times. The Romans built a fort here where their trading route crossed the Douro, and the Moors brought their own culture to the area. Oporto profited from provisioning crusaders en route to the Holy Land and enjoyed the riches from Portuguese maritime discoveries during the 15th and 16th centuries. Time in Bilbao (Bilbo, in Euskera) may be recorded as BG or AG (Before Guggenheim or After Guggenheim). Never has a single monument of art and architecture so radically changed a city. Frank Gehry’s stunning museum, Norman Foster’s sleek subway system, the Santiago Calatrava glass footbridge and airport, the leafy César Pelli Abandoibarra park and commercial complex next to the Guggenheim, and the Philippe Starck AlhóndigaBilbao cultural center have contributed to an unprecedented cultural revolution in what was once the industry capital of the Basque Country. Enjoy 2 wonderful days exploring this world famous wine region. Bordeaux as a whole, rather than any particular points within it, is what you’ll want to visit in order to understand why Victor Hugo described it as Versailles plus Antwerp, and why the painter Francisco de Goya, when exiled from his native Spain, chose it as his last home (he died here in 1828). The capital of southwest France and the region’s largest city, Bordeaux remains synonymous with the wine trade. We will be running 2 x 2 hour academic sessions over the course of today leaving you time to interact and network with fellow delegates in your leisure time. So whether that is whale watching from the Observatory Lounge, catching up on some reading or enjoying time with old and new friends, these blue sea days are the perfect balance to busy days spent exploring shore side. Originally a little fshing village, Cherbourg has developed into a historic port designed by Vauban. This was also a strategic naval port during the Napoleonic wars; there is a marina with over 1000 moorings. “Cap de la Hague” is to the West and the “Pointe de Barﬂeur” to the East. This port, which belongs to Normandy, is a region that has provided inspiration for countless artists and writers, and is the land of apple orchards and rolling farmland dotted with villages of half-timbered houses. 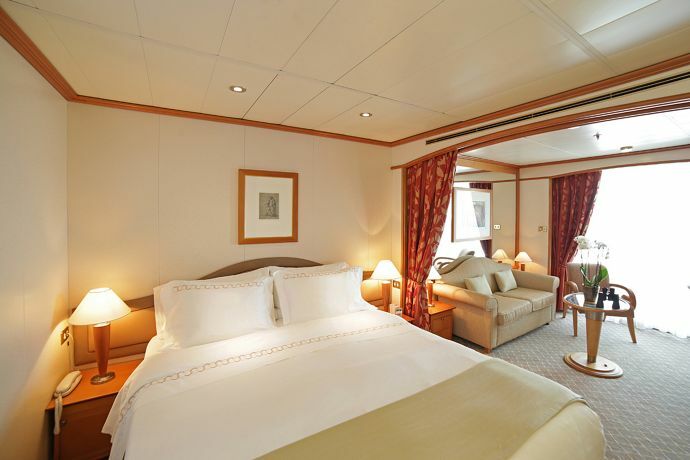 A Silversea signature, the Veranda Suite is spacious and welcoming. Floor-to-ceiling glass doors open onto a furnished private teak veranda. Each spectacular sunset feels like it is yours alone. Register for both Lisbon Conference and our Lisbon to London Conference and receive a discount on your registration.